Just like an adult, kids enjoy music too. But every song is not meant for them. Lucky for us, Disney and other nursery rhymes have taken the responsibility to entertain children and elders as well with their catchy songs. 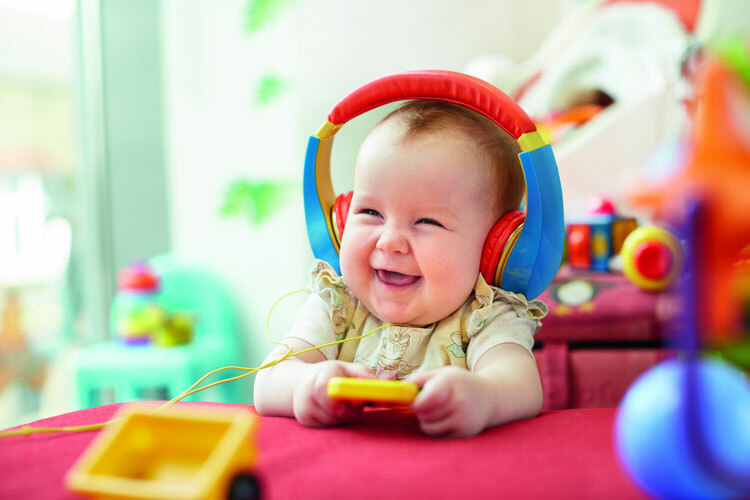 Today we look at the top songs for kids and how their rhythms keep us bound in a spell. Here I must add the fact that the songs for kids are so catchy that we unknowingly keep humming them. Let’s take a look at the top 25 songs for kids. Disney has always inspired kids with their concepts and themes. And this song from the Disney animation “Frozen” has taken the kid’s world by storm. Performed on Elsa the princess who has intense power of converting everything she touched into ice stays in our heart forever. The famous ping Fong tune which is about the family of sharks. This is perhaps the most known songs by kids, and even elders enjoy dancing to the addictive tune of “doo doodoodoodo.” Since this song is present in different versions from slow to fast, it is loved by kids very much as they get to dance to it and perform as well. The journey from kid’s book to the internet has given this poem special value. It is presented in almost every way from fast mode to slow mode, and every mode is loved equally. It holds special importance as it also has a valuable lesson in it which is about never giving up and to keep trying till you achieve your goal and all ends well. who is not aware of this rhyme? From generations, this poem has been in the circulating the books and minds of young ones. Even grownups enjoy it as they can recall their days related to this poem. Plus no trip to any place is complete without this rhythmic poem. An excellent poem which allows the children to learn ABC while playing. It is very entertaining as well because kids not only learn the ABC basics but also enjoy the learning process as well. More of a tongue twister, kids enjoy the fun which is created by naming weird names and laughter can be heard from a distance when this poem is on. The whimsicalness can be easily felt in it which makes the small kids laugh. This poem is the starter for the process of learning spelling. The inclusion of a dog named as B-I-N-G-O, kids go crazy over it. Also, kids love dogs so much. Another great lullaby which only highlights the fact about how children are dearest to our heart and to us. Small kids love it and demand for it to be sung to them. An amazing poem which is about the carefree dancing and learning of different moods. For kids, this is a big step where they learn the recognition of their different moods and ability to relate to them. Parents have been using this poem as a counter effect to kid’s bad moods. This classical rhyme was included into the books of children to acknowledge them about patience and winning. An interesting fact, this poem is award-winning poem as well. Though this poem is about the patriotism of a specific country the rhythm is very catchy, and we see a lot of children enjoying it to the most. The purity of childhood is about carefree, and this poem has captured all that essence in an excellent manner. A child is known for its carefree games and laughter, and this poem only proves it right. The information is always input in the kid’s poems and rhyme, so they learn something while they enjoy their playtime. This is what is happening in this poem. The fun poem is very famous among young children. The conceptual poem where London Bridge keeps falling, and people keeps constructing it again and again. This is one of the oldest poems perhaps, and it has been stuck so much in mind then whenever we saw the London Bridge, unconsciously, we sang it. An interesting choice where ants go marching. It is related to the Civil war song “when Johnny comes marching home.” The fun repetitive lines in this rhyme entertain the children the most and that is why it has been named as one of the best songs for kids. Many times, this line has been used in cartoons whenever Muffins are there. Interestingly, Victorian people used to have muffins delivered in their homes, but it still is as far as a Muffin right out of the oven. One of the most controversial poems, if I may say is pop goes the weasel. As no one knows but kids have stuck to it, and it has been declared of the most listened and enjoyed songs by children. This poem has been converted into play in so many countries. Different versions are played, and different rhymes tones are created. But kids love it due to its simplicity and entertainment factor. The simple but goofy rhyme about play and rhythm. Small children love it for its freeness and able to get into the bones of the children. The sweet melody of this rhyme is all about love and care. All children love lamb and its contagious tone cannot be put out of head easily. often seen that children are singing this poem when they are playing tea time, or house plays. It becomes so frequent that it keeps playing in your head again and again. A simple yet entertaining rhyme which most of the parents don’t get but who knows what is in it that children love it so much. If your kid loves animals then it is the best poem there could be. All kind of farm animals have included in this poem, and so many different versions are available. The most know poem of the world if I am not exaggerating. I have always felt that most of the nursery rhymes are based on the tone of this poem. Probably the first poem any child learns; it is immensely popular and effortless as well. Perhaps the most sung lullaby is this poem. Many mothers are reported that they used to sing this poem to their children when they were about to sleep, and it always produced excellent results.